The Golden Age of yachting in the 1920s with the Js, the 23metres, the M’ class and the big American schooners saw owners racing in the Solent, the Clyde and Harwich Harbour. Now the Big Boat scene has moved to warmer waters, the Mediterranean and the Caribbean being the most popular venues to witness the revival of Big Boat racing. Designed to be even more beautiful than the magnificent J-Class but with twice the power to weight ratio, the Spirit 130’ has the potential to be one of the fastest sailing boats on the superyacht circuit. The old classics are a finite resource and the first flurry of restorations that gave us Endeavour, Velsheda, Cambrai, Mariette, Moonbeam etc. has slowed as the number of possible refit projects declines. 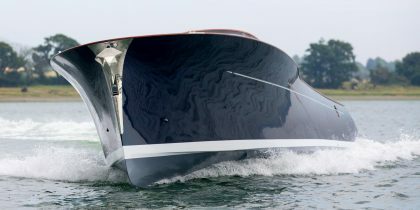 The revival of interest in ‘Big Class’ racing has encouraged the growth of superyacht regattas at some of the most beautiful venues in the world and, as a consequence, the construction of new, larger modern classic yachts. Spirit Yachts has been at the forefront of modern classic design and build for over 20 years and the magnificent Spirit 130’ design is no exception. 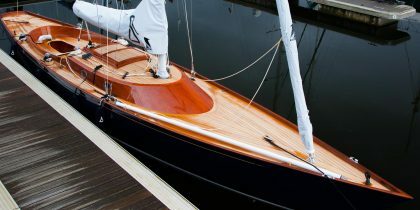 This stunning yacht is the ultimate in traditional elegance combined with contemporary and innovative build techniques, materials and technologies. As with all Spirit designs, the Spirit 130’ is open to complete customisation above and below deck depending on owner preference and lifestyle. The current Spirit 130’ design is tailored for performance racing at the highest level, however as specified modifications can be made depending on owner requirements. 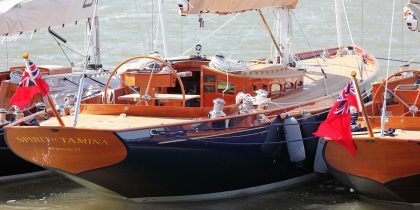 Stunningly beautiful with fast, electric performance; combining elegant looks with state of the art marine technology. Immensely strong, lightweight and easy to sail. Offers the legendary performance of the ‘Classic Spirits’ in designs that now create more volume and even greater comfort. Designed and crafted to the highest specification. All the style, elegance and craftsmanship of Spirit’s modern classic sailing yachts applied to a portfolio of sophisticated motor yachts from tenders and day boats to superyachts.